Salon, as a concept, has taken up a multi-national definition – encompassing the individual’s desire for social acceptance, exclusivity and collective welfare. Mainly influenced by evolving lifestyle, this change has been accelerated by factors such as globalization and a greater awareness among individuals. Salon players thus have responded to this change and shifted their focus from traditional offerings such as haircuts and hygiene services to new generation offerings like nail art, hair care, luxury styling and personalized services as desired by customers. 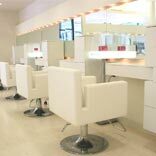 The Indian salon industry, which stands at $1.55 billion, lags behind its Western counterparts in terms of infrastructural development and trained human resources etc. The customers in these countries prefer organic salons and opt for more natural, organic and healthier services. However in India, the organic salons and spas are low in numbers, as the consumers here are more price and value driven. But, an affluent section of the society is getting preventive and using services that are more herbal and organic, but still there is a larger consumer base not reacting on this issue. Salons are trying to woo customers through various promotions. Jean-Claude has hosted a special spa day for its guests from the cast of The Verdict, an courtroom drama by Balancing Act productions at their flagship salon in Bandra. “What is important when it comes to store size and design is how functional and customer service oriented the look and feel is. The salon should be spacious, comfortable, having better walk through and durable furniture. Simplicity and neutral colors are very well preferred, shares Manwani. The average store size of Jean-Claude is 1,500 sq ft requires an investment of Rs 72 to 95 lakh. It takes around three to five months to break-even. The average monthly revenue is marked at Rs 25 lakh to 30 lakh per outlet, shares Manwani. The expansion of modern salons is no more restricted to opening chains or expanding their floor space in tier I and metro cities. It is moving to tier II and III cities and even smaller towns. This is leading to an increase in number of modern players, consecutively decreasing the dominance of traditional salons and beauty centers and reinforcing the belief that modernization, integration and diversification are the way forward.